Of course I may go through and edit once more after that, but I will think about that later. Two more things - First I wanted to let you all know that my next door neighbor and good friend Krista (who wrote a pretty fun fantasy novel) has started a blog. Check it out here. 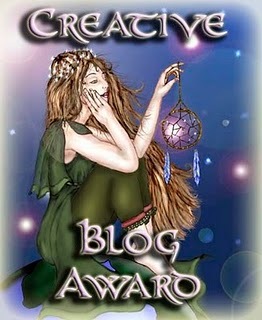 Second, the lovely Deirdra at A Storybook World gave me the creative blog award! Isn't it pretty? I love the fairy green clothes, and the dream catcher. So fun! As I said, I've sent the first few pages of my book out for people to review. (BTW, if you want to do the same, nudge me below, I'll be glad to exchange.) With this process I've come to realize that many people don't know of the editing tools Word has to offer, so I thought I would shed some light. That way others can take advantage too. It makes editing on the computer so much easier. 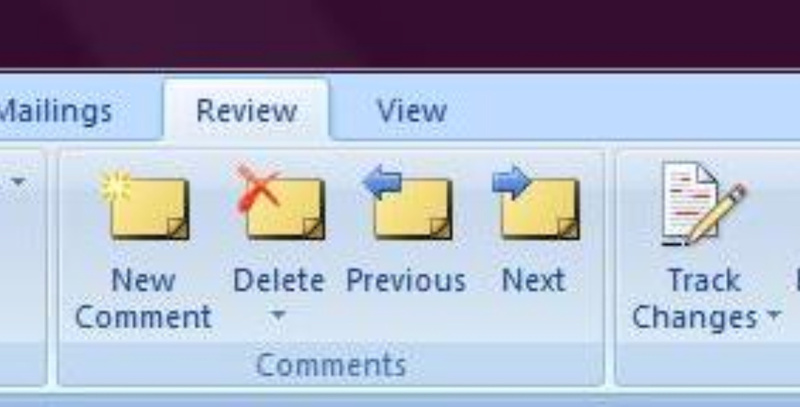 With this tool you can make changes to the document and they will show up in red. The author can then choose to use your advice, or not. Using these tools can greatly increase your ability to give a good critique. Happy editing! Thank God for you, Jen! I know about Track Changes of course, but I've used it so long ago that I'd forgotten how to insert those comments. Bless you. I have an older version of Word, so it's a little different, but I did figure out how to do those handy dandy notes ;-) I'll have to give "track changes" a try some time. Jen - good luck on editing - it took me several rounds to get it to somewhat presentable. It is a fantastic feeling though - good luck! Too bad about your hop but I totally understand, as you probably already realize from my cutting out all posts scene! If you need to send me any more pages, I'm up for it! Jen, thanks for the mention! You are awesome! Can't wait to start reading your book. Especially since you are taking the time to read mine. Thanks for that too. I loved the update on the editing tools. I never used them before and they look great. Your friend has a good name. :) I'm a Krista too. And she spells it right. I don't like it when people try to spell my name with a Ch. I'll definitely check out her blog! Thanks for this. I rarely use any of the nifty tools that Word has to offer. Perhaps on a day when I have some time, I'll have some fun with it. 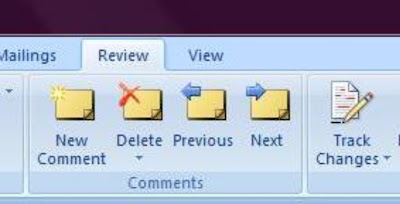 Thanks for the editing tip because I sure didn't know about it. I also understand why you are cutting back on posting. Good luck with your book! Ooo! This is good... keep the editing tips coming!